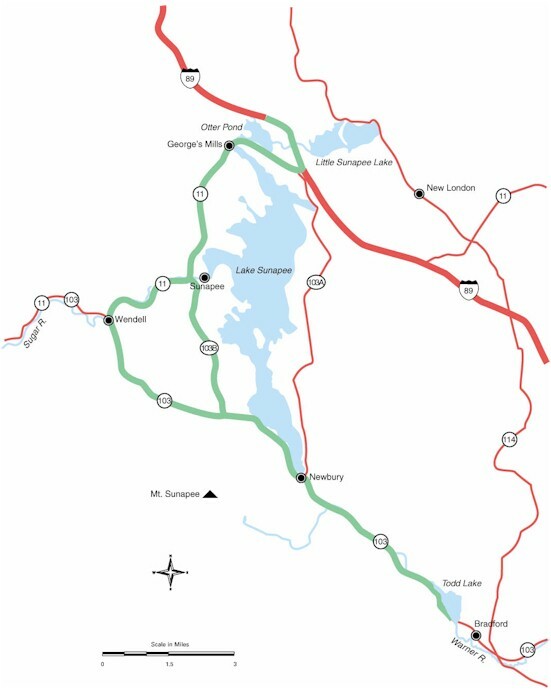 This 25 mile route borders Lake Sunapee and is a slower paced and beautiful alternative to Interstate 89. Visitors and residents alike know that Lake Sunapee is a destination in itself. Year round recreational opportunities abound, including boating, biking, swimming, snowmobiling, downhill and cross-country skiing, ice-boating and maple-sugaring. Local residents take pride in Lake Sunapee for its exceptional water quality and beauty. Protection efforts have enabled Lake Sunapee to consistently be named one of the cleanest lakes in the state.